BusBoss bus transportation management software features a wide-range of functionalities and integration add-ons. Which version is best for you? 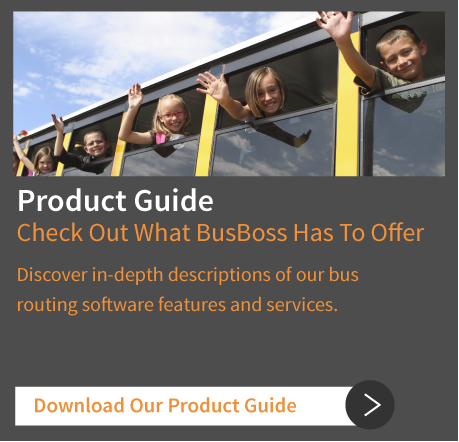 BusBoss was designed with you in mind, and every effort was made to ensure that our school bus routing software offerings are flexible, so you receive the system you need to easily create and manage more efficient routes. 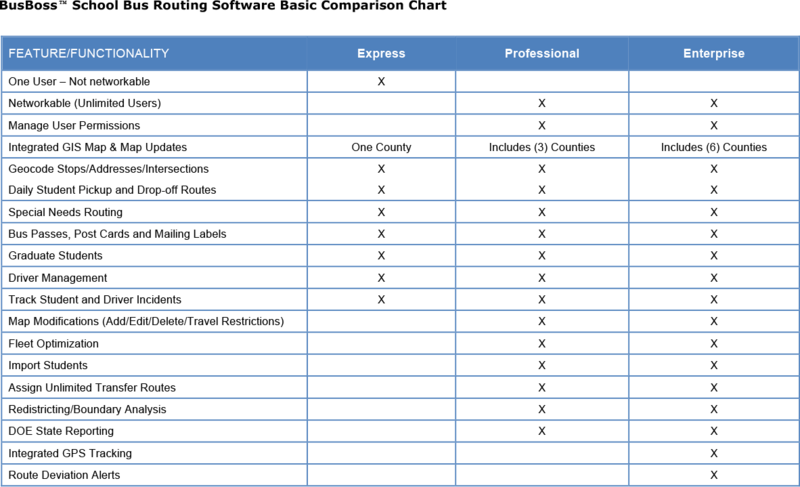 To view the full BusBoss routing software comparison chart, simply complete the form on this page.